A man looks clean and smart when he has trimmed his beard. Even if you are a bit relaxed when it comes to shaving your beard, there are events that will force you to look classier rather than casual. 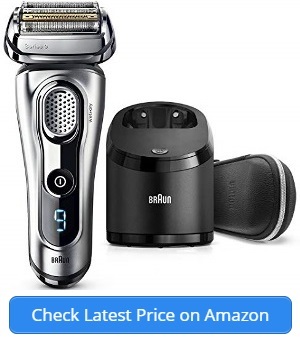 Whether you have an invitation to attend a wedding, graduation, date, business conference or any other event, you cannot go wrong with the Philips Norelco Shaver 3100. The PT724/46 Shaver 3100 is a superior electric shaving gadget that is both affordable and user-friendly. The most delightful feature is the Flex and Float System. 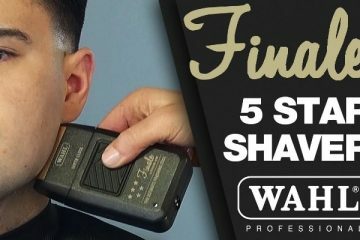 This is a very flexible feature that tracks all your facial contours and picks up more hair than any ordinary shaver does. The result is a clean, smart shave that others will salivate for. The cutting heads are designed for comfort and have rounded edges to offer a soft gliding motion on the surface of the skin. You can achieve a very close shave with the Shaver 3100 without hurting your skin or having maneuvering difficulties. The manufacturer claims the ComfortCut provided by the rounded heads offers sixty-six percent more comfort. Having tried this shaver I can attest to this claim. It feels so comfortable and safe no matter your facial beard texture. The integrated pop-up trimmer is also a nice feature on this gadget. It is specifically designed for the sideburns and moustaches. These must look nicely trimmed, and this device achieves just the result you want. The Philips Norelco’s features can be explained as shown below. ComfortCut shaving head system – Offers a gentle glide close to the skin. LED Display Indicator – This shows the charge status: battery full and battery low. 3-minute quick charge – If you want to shave urgently and leave to someplace, just use this feature to do a single cordless shave. Flex and Float System – This is the feature that lets the machine glide on skin contours without missing a single hair strand. Rechargeable battery – The time required to give the battery a full charge is eight hours and the charge can last fourteen days. 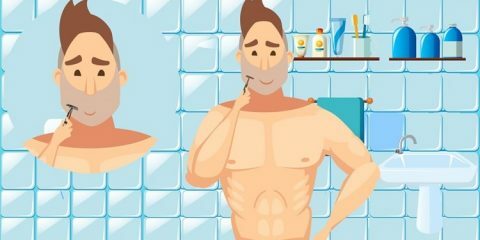 This means that you get up to forty minutes of a single shave. Money-back guarantee – You have up to forty-five days to decide whether you want to continue using Philips Norelco. Full 2-Year Warranty – This is longer than the limited warranty of one year offered by most shaver brands. Washable design – This product is completely sealed and does not allow water entry. So you can clean it without worrying about its safety in water. Hold the razor under running water and you may rub it with the provided cleaning brush. Rechargeable cordless and cord design – This feature enables you to pack your Norelco 3100 and take it anywhere you are going. The shaver 3100 offers you dual operation, and it will perform as long as it is fully charged. Check the indicator LED light panel to know when to re-charge your Lithium-Ion battery. Cheap and easy maintenance – To ensure that your gadget lasts longer; ensure that you substitute your blades for the HQ8 heads each year. 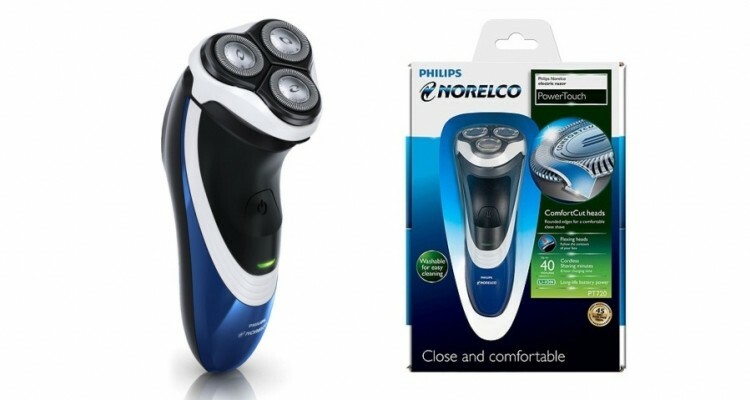 Philips electronic gadgets are renowned everywhere in the world and it is for this reason that you just cannot have doubts about the quality of your Norelco Shaver 3100. It is designed for all types of men who want to shave much more comfortably, safely and effectively. Besides, this Norelco Shaver enables you to shave while on the go and so it is the most convenient gadget available. Although the flex and float head system does a brilliant job, you should be careful with it. The cutters are round and hidden beneath the head, making it a challenge to determine the actual line of cut on your face. As a person who has used and reviewed many shaving gadgets, I have to express my great satisfaction with the Norelco Shaver 3100 from Philips. It has all the features I consider useful when shaving my beard, sideburns and moustache. Another plus is that it shaves very close to the skin surface without irritating it at all. The Norelco is so great that I want to use it forever. 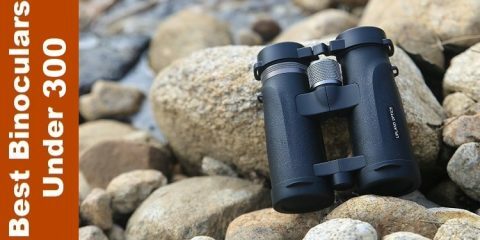 Accessories such as blades for HQ8 heads can be bought from your local retailer to keep the device running smoothly. Offers the flex and float head system that glides on the contours of your face or head without developing technical hitches. It offers a 3-quick charge feature that enables the user to do a one quick cordless shave. There is a pop-up trimmer that is designed for edging your sideburns and creating a lovely neckline under your beard. Personally I am not complaining except that I wish the charging time is a bit shorter. Philips Norelco is an ideal beard shaver designed for all types of facial beards.